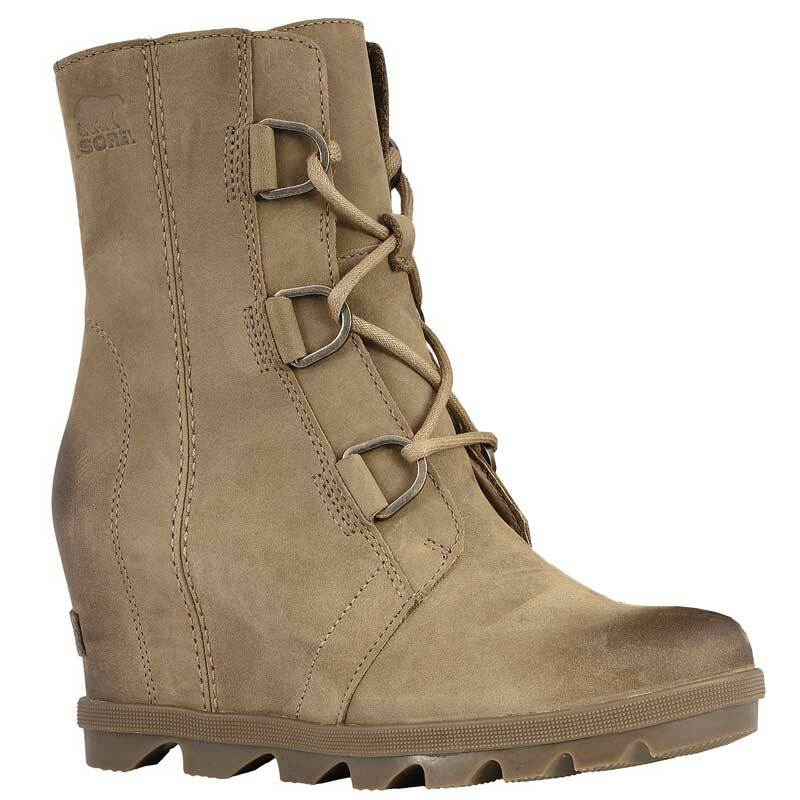 For all the skeptics who say you can't combine function and fashion, say hello to the Sorel® Joan of Arctic Wedge II Boots! This women's lace-up ankle boot features a fully waterproof full-grain leather upper, so you'll be protected even in winter conditions. Inside, a breathable leather and microfiber lining creates an inviting interior, and the lightly cushioned footbed and heel cup combine to provide all-day comfort. The wrapped wedge gives you a stable boost in height AND style, while the molded rubber outsole ensures a stable stride. Perfect for city walking while still holding their own in a rainstorm, the Sorel Joan of Arctic Wedge II Boots prove that fashion and function CAN co-exist.